The two creamers that bookend the image illustrate the handpainted ‘Australiana’ themes that Boyd is famous for. The jug to the left sports a grass tree, and the jug on the extreme right shows a worker in a field of bamboo. Both jugs have the powder pink background which is so associated with Boyd pottery. 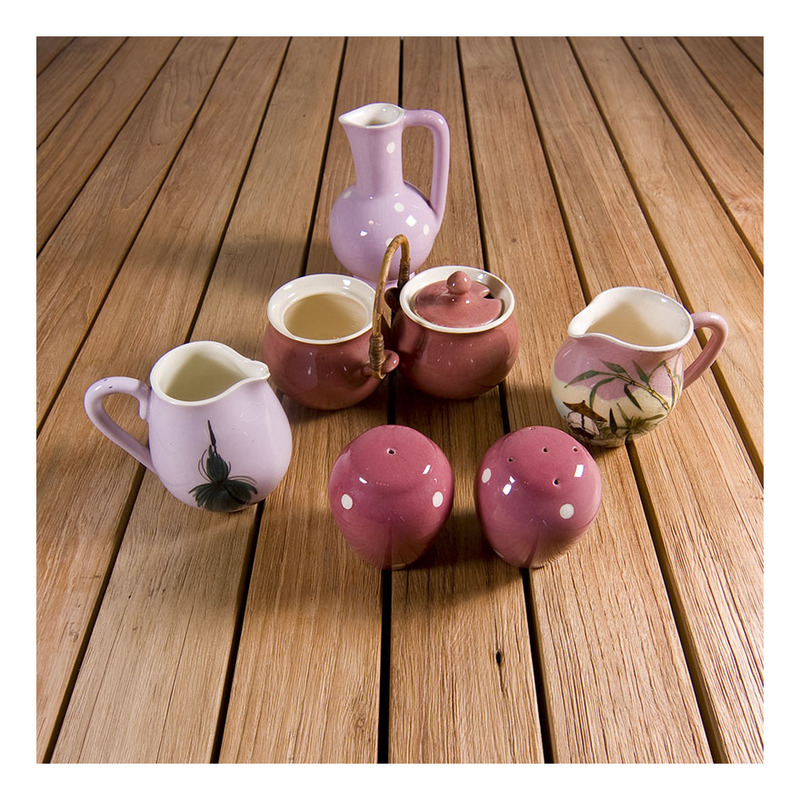 All Martin Boyd pottery is made [and signed by hand] so there is a slight variation between any pieces in a set. 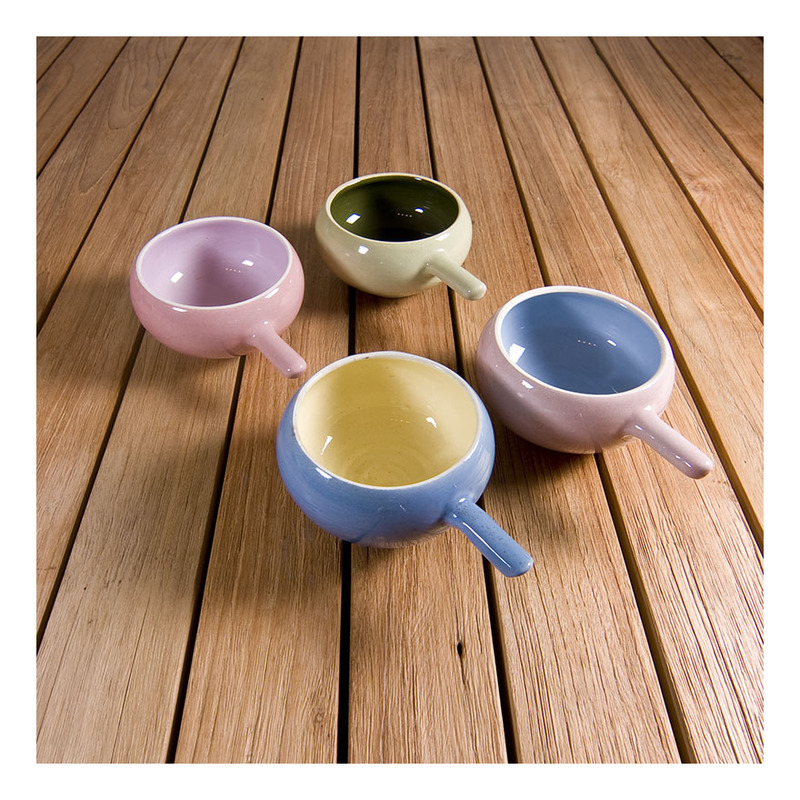 The pottery is instantly recognisable from the edge band of unglazed pottery that always separates the two toned pieces. The colours are quintessentially 50s. This set of eight ramekins is in excellent condition – it has never been used. The person I bought the set from told me they were her mothers who bought them new in 1957. She decided they were too lovely to ever be used for such a prosaic purpose as soup- and put them on display. The Boyds are a famous Australian family of artists. 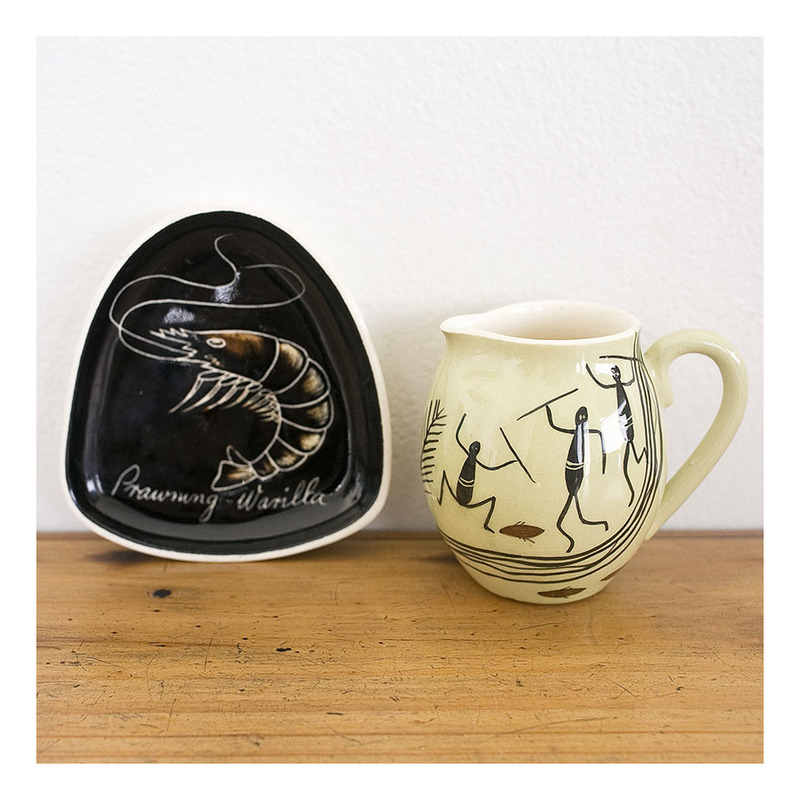 Martin Boyd was the ceramist in the family – and his pottery started in Cremorne, Sydney in 1946. The pottery was in operation from 1946-1964, with 1957-58 being the peak production period. All Martin Boyd pottery is made [and signed] by hand so there is a slight variation between any pieces in a set. 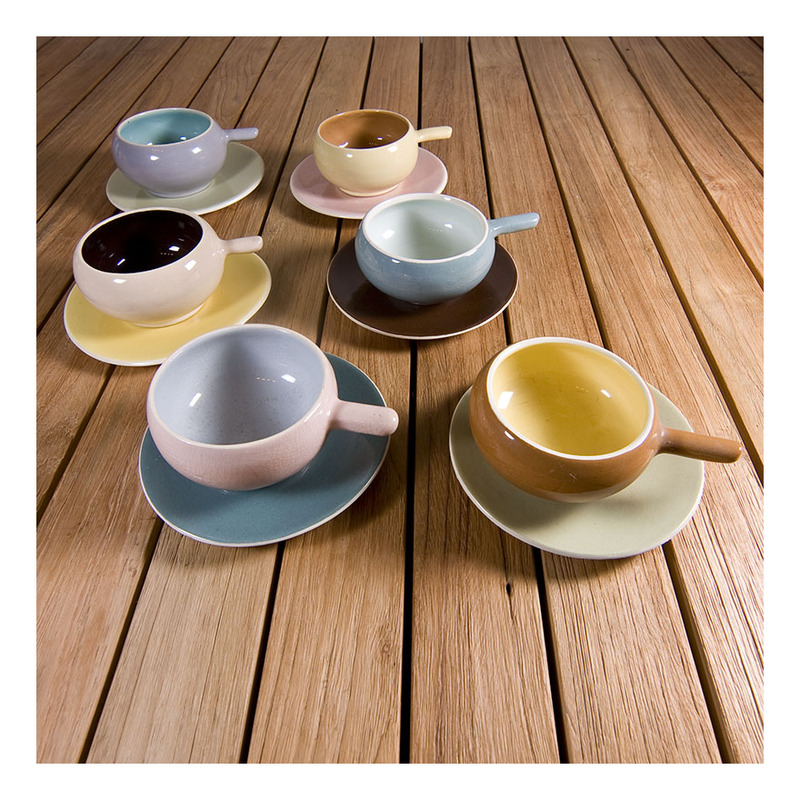 The pottery is instantly recognisable from the edge band of uncoloured glaze that always separates the two toned pieces. The colours are quintessentially 50s. This set of four ramekins is in excellent condition – it has never been used. And if Boyd ramekins are your thing, I also have a set of six ramekins with their matching plates also posted on the blog.